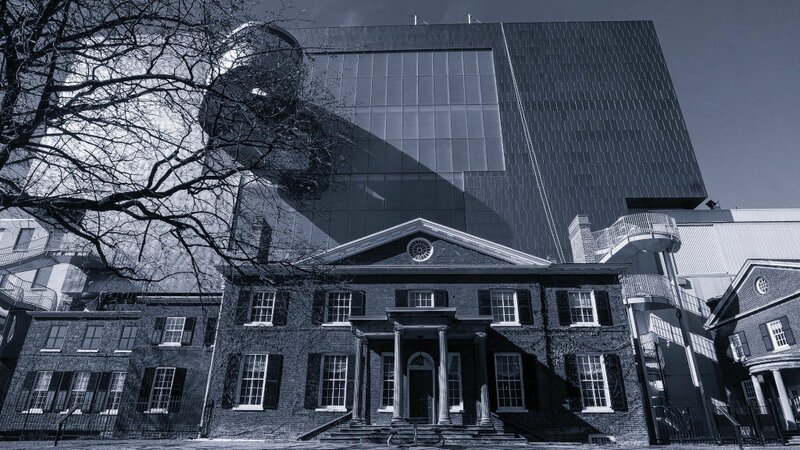 As mentioned in a previous blog, Campbell House was built in 1822 for Upper Canada Chief Justice Sir William Campbell. 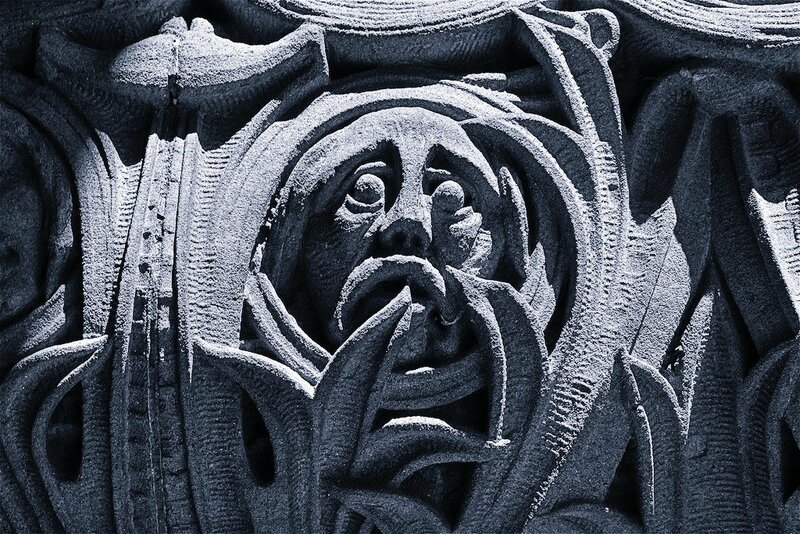 It has been haunted by poltergeists shortly after Campbell’s death in 1834. People have seen a man in 19th century garments, creating disturbances and terrifying those who have stayed overnight. 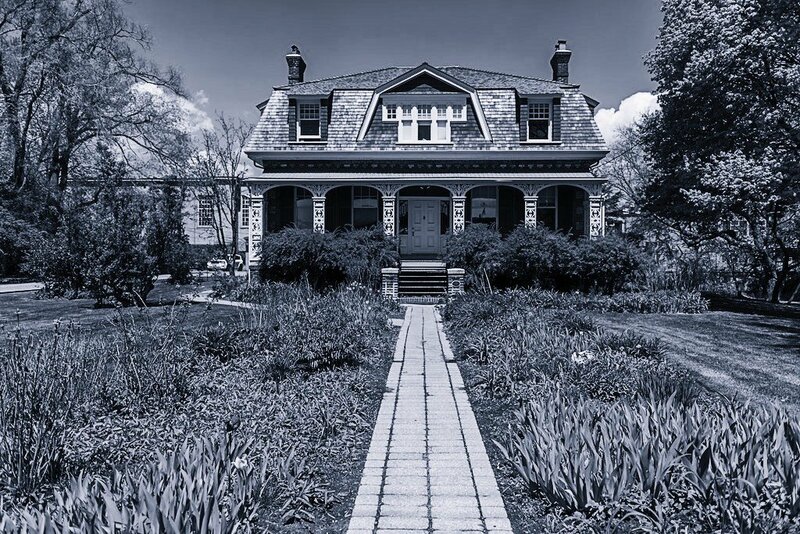 Built in 1854, the house was inhabited by descendants of the Ashbridge family for over 200 years (until 1997). Hauntings have been peaceful in nature – such as individuals eating porridge at the kitchen table. 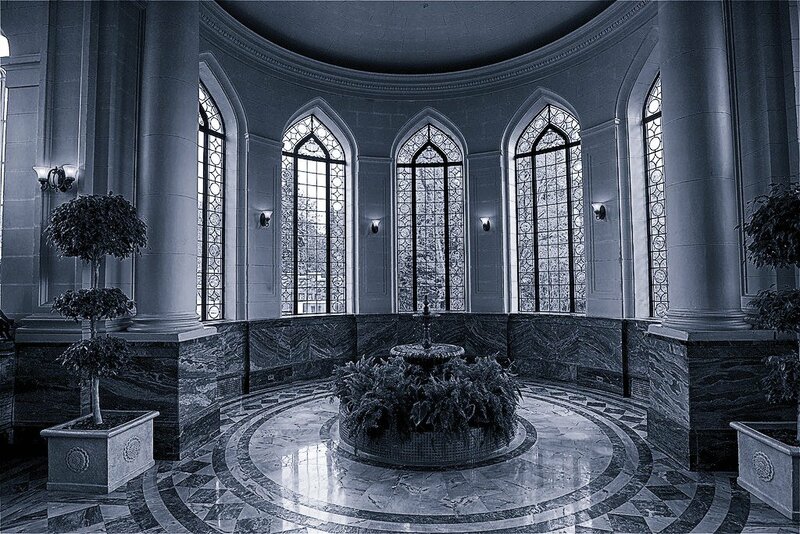 Built between 1911 to 1914 by financier Henry Pellatt, the grand castle has endured hauntings for many years. Poltergeists have been reported numerous times in upper levels, as well as the basement. Pellatt lost his fortune in the 1929 stock market crash and the castle became the property of the City of Toronto shortly thereafter. It is said that the ghost that haunts this great castle is Henry Pellatt himself, mourning the loss of his empire. 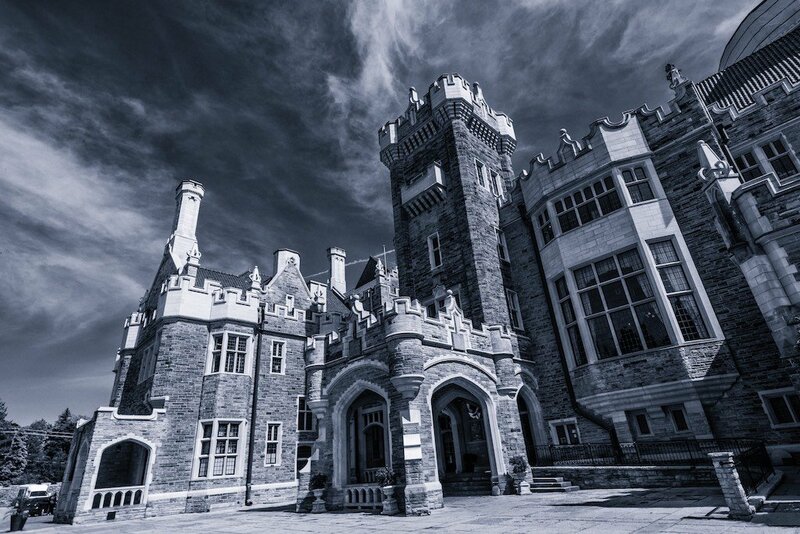 Casa Loma currently has haunted tours for those who dare! 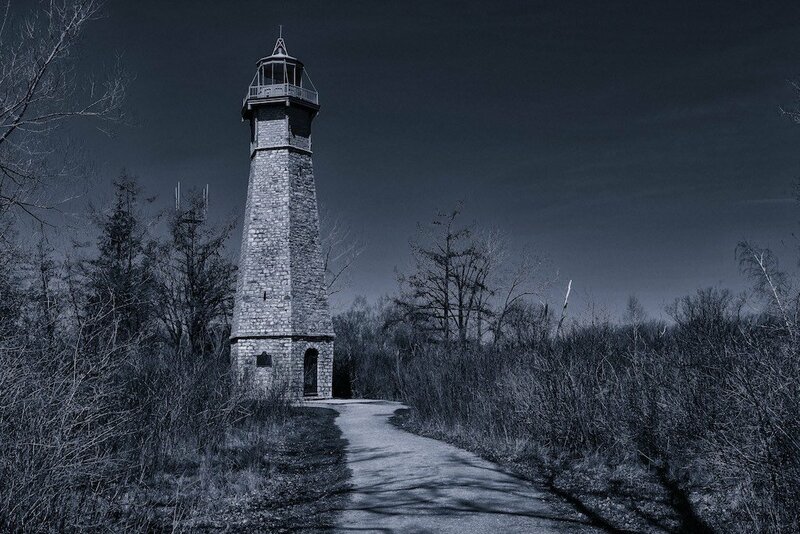 Built in 1808, the lighthouse is one of the oldest in the Great Lakes. 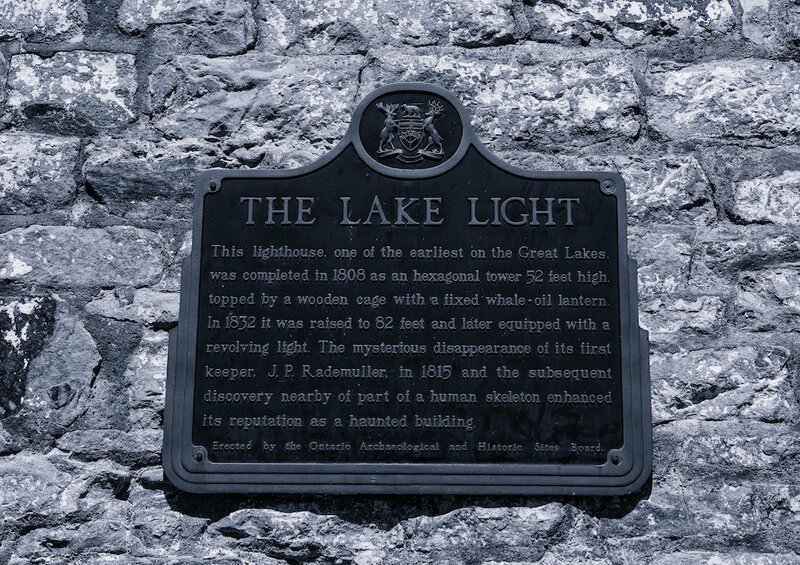 It is said that it is haunted by the original lighthouse keeper, J.P Rademuller who occupied the building between 1809 to 1815 until a mysterious death. It is said that Rademuller suffered a death by a thousand pecks by a gaggle of Canadian Geese who he never fed bread crumbs. 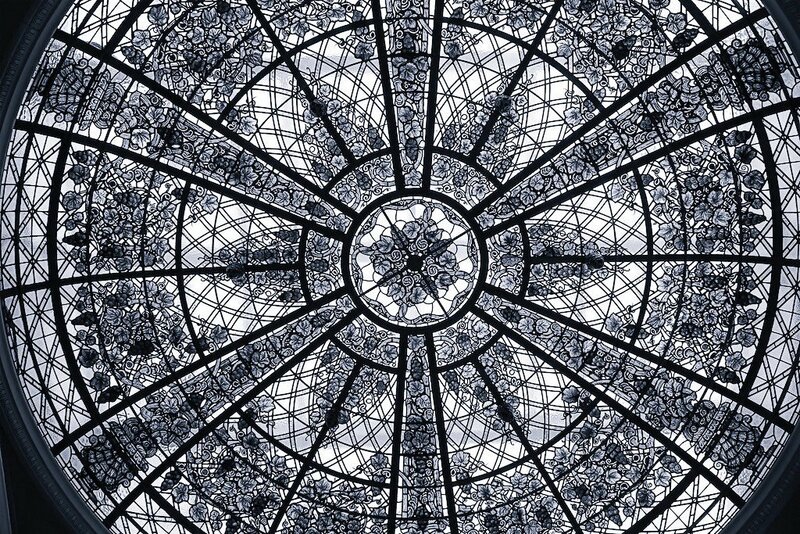 The Grange is over 200-years old and is now connected to the Art gallery of Ontario (AGO). There are 2 ghosts who are often seen after midnight. They are likely former writers, who lived in the building, Goldwin Smith and Algernon Blackwood who wrote horror books in the day. 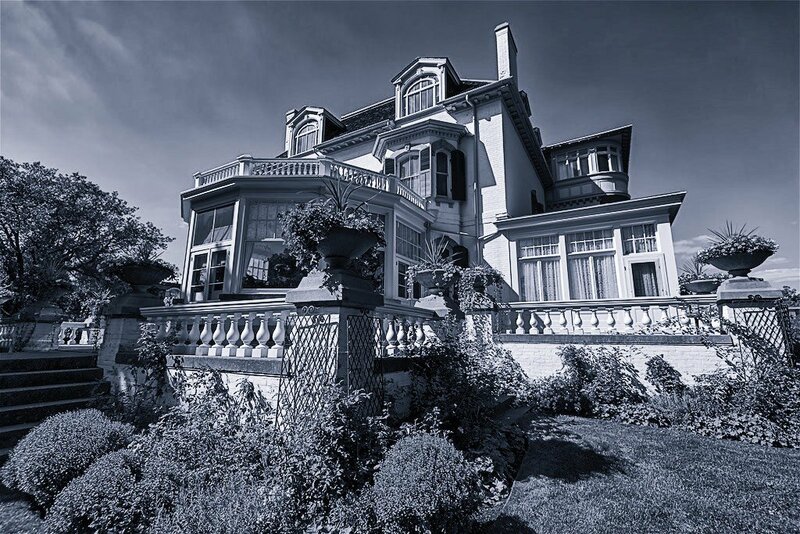 Built in 1866 for banker James Austin, the mansion sits on the same site to this day and is now a museum. While no reported deaths occurred in the home, footsteps are often heard in the attic by those who have stayed overnight. 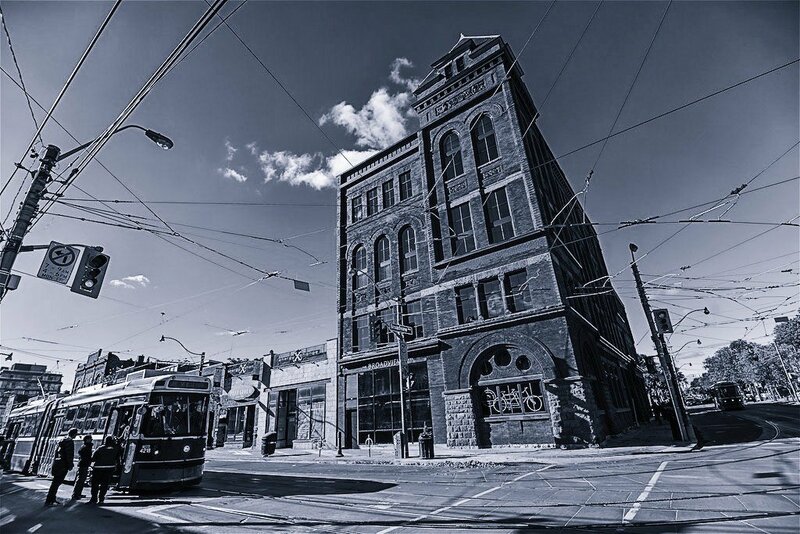 Built in 1893, the Broadview Hotel has had numerous reports of an apparition – a crying child that wanders the hallways at night. 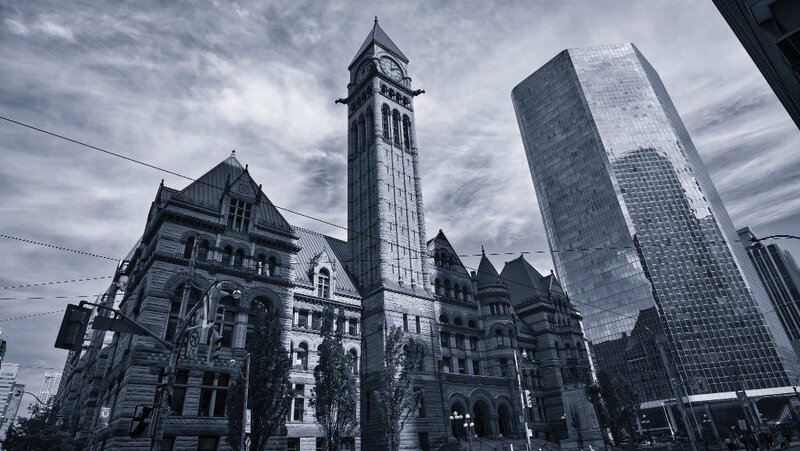 Built in the late 1890’s, Old City Hall is one of the most haunted buildings in Toronto. Today it is a hall of justice and many judges have experienced paranormal activities such as pulling of robes and whatnot. 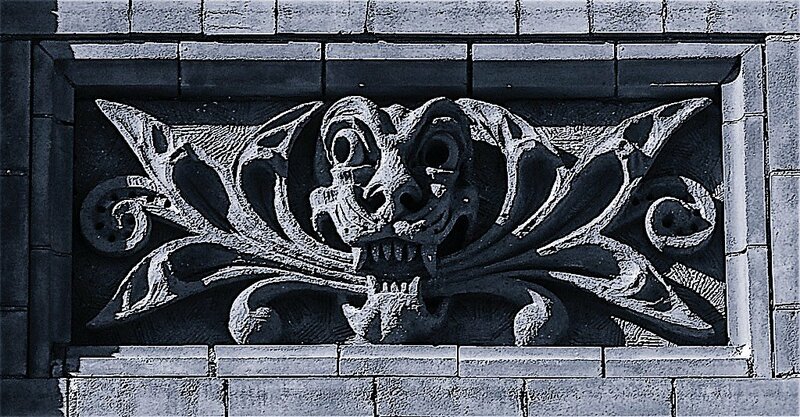 The structure is adorned by gargoyles and numerous carvings. 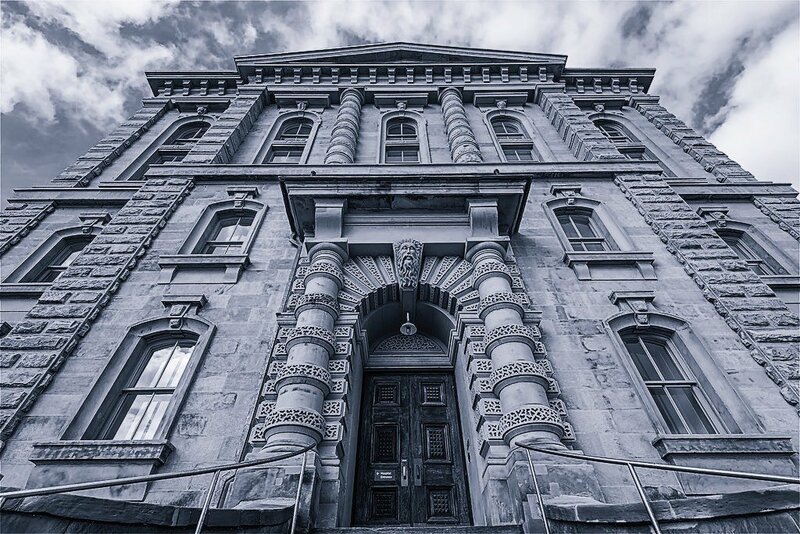 Built in 1864, the Don Jail has seen many executions and public hangings. To this day, rattling chains are heard in the dark hours. With construction completed in the 1890’s, the site was previously occupied by an insane asylum. 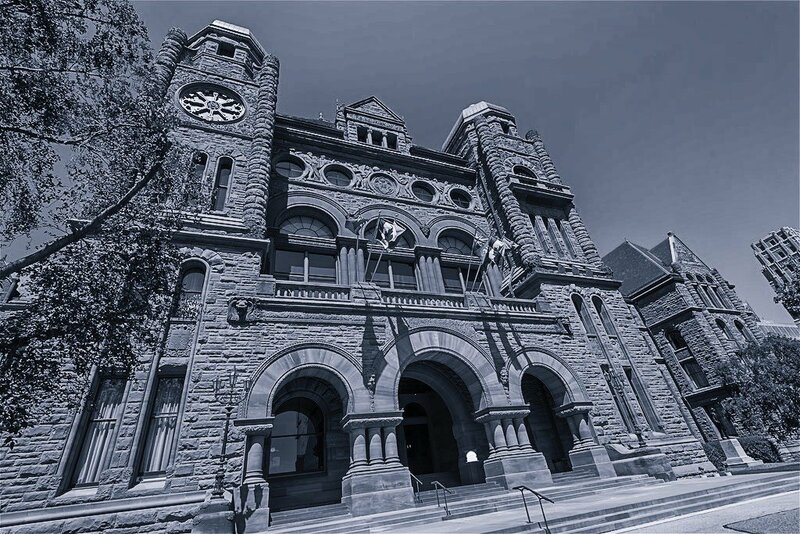 To this day, residents from all of Ontario are haunted by insane policies devised by the current government. 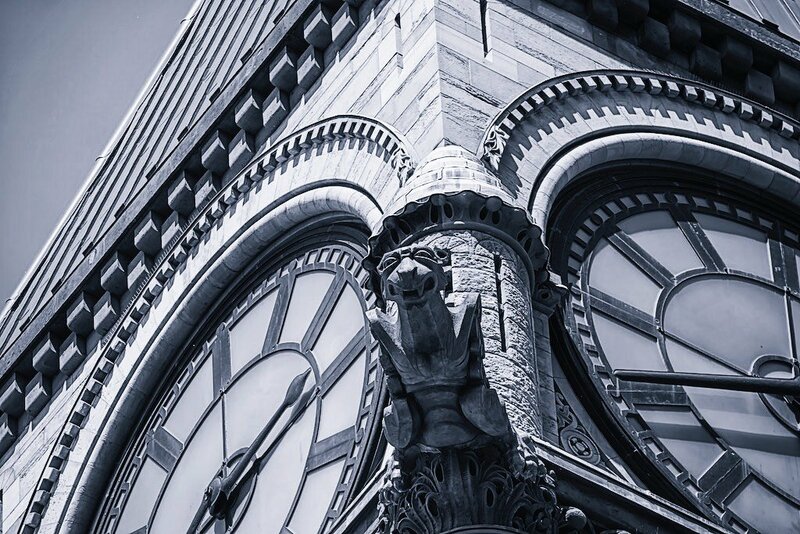 This entry was posted in Architecture, Campbell House, construction, ghosts, Haunted Buildings In Toronto, Hotel, Mansion, Ontario, photography, Queen Street, Toronto, Uncategorized and tagged architecture, ghosts, Haunted Buildings In Toronto. Bruce, you saved the best for last! 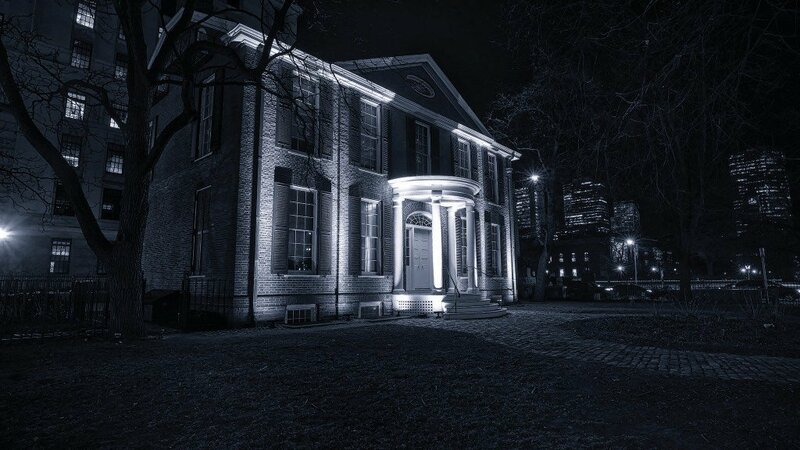 The Keg Mansion (Massey Mansion) is also haunted!